Do they provide a turn-key solution that is complete from end to end? Do they manage the solution for you on an ongoing basis or are you on your own? Do they have a pricing model that charges you based on your data usage in the cloud? Are their additional charges if you exceed a certain limit? Do they include a DR plan or DR testing included in the cost or is that a separate project? 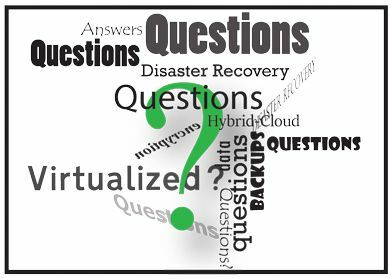 Do you only get offsite storage or can you also virtualize backups in the cloud if necessary? Do they own their own equipment in the cloud or do they use someone else’s cloud storage? Do they have full redundancy at every level of their infrastructure (data centers, servers, storage, power, people)? Do you have a warranty for the backup appliance? Is it field upgradeable? Do they have independent audit per year and can produce a report from that agency? Do they have policies in place to control employee access to data? Do they have fully end to end encryption? Have they had any type of data breach in the past two years? Is your platform developed to take advantage of the Internet browser, not a client you have to install to get to the console? What happens if decide your solution no longer meets my needs and want my data in an open file source that I can use with another vendor? We hope you found this helpful. If you’d like more information about ThinkGard’s complete business continuity/backup & disaster recovery solution please Contact us.